1 MSc research position in biology is available in my lab starting Summer 2015. This research concerns Wallabies kept at the Granby Zoo, where the field work will be conducted. There are possibilities that other zoo across canada or even USA are involved in the comparative studies. One aim is indeed to compare their behaviour in 3 settings depending of the level of contact/interaction with visitors (1-No contact possible, 2-animals can move where visitors are but not the contrary; and 3- animals and visitors interact i.e. no visual barrier at all) to compare their behaviour in those three settings and evaluate the impact of the new exhibit design on the welfare of these animals. Other important factors to take into account when analysing zoo animals’ behaviour will be considered, including: time of year, enrichment, personality of the individuals and the number of visitors. Suitable candidates will have a B.Sc. in Biology. The ideal candidate will have experience in ethology, be determined to complete a M.Sc. degree, have a good academic background (good GPA), strong quantitative skills, and be patient, thorough and have good observational skills. This is a joint project with the Granby Zoo. Financial support is available for two years, but if eligible, candidates will be encouraged to apply for external grant (FQRNT and NSERC). Students with successful scholarship will receive a bonus on top of their scholarship. If interested, send me by email (robert.weladji@concordia.ca) before February 15, 2015: a copy of your CV, transcript and a short statement of purpose, as well as the name and email addresses of two references. I am currently looking for one undergraduate research student (Biology 490) to start in summer 2015. Anyone interested in behavioral ecology, life history strategies, population ecology, conservation and management of biodiversity should contact me as soon as possible via email. I am flexible regarding the actual research topic, but it should be within these research areas. Also, if you have a brillant idea that can lead to a small research project, get in touch and we will discuss the possibilities. Priority will be given to potential USRA (NSERC) fellows, i.e. a good GPA is an advantage. 1 PhD ( or MSc) research position in biology is available in my lab starting May or September 2015. 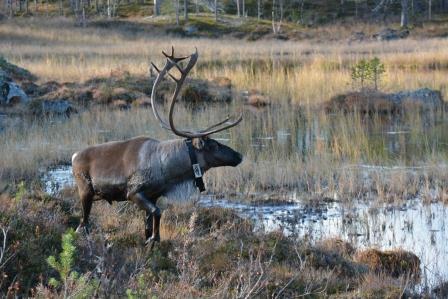 This research will involve using 2 sets of long term individual-based data (detailed life history data from 1970 to 2013; breeding phenology and rutting behaviour data from 1996 to 2013). 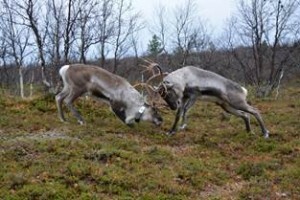 This project involves field work in northern Finland. Suitable candidates will have a MSc (or BSc). in Biology or a similarly recognized degree. The ideal candidate will have experience in field research settings, be determined to complete a PhD degree, have a good academic background (good GPA), and strong quantitative skills (statistics; individual based modeling, analysis of longitudinal data). The candidate should be ready to work in remote areas and to work in team. Experience with GIS/spatial analysis would be an asset. Financial support is available for three years, but if eligible, candidates will be encouraged to apply for external grant (FQRNT and NSERC). Students with a successful scholarship will receive a bonus on top of their scholarship. If interested, send me by email (robert.weladji@concordia.ca) before December 20, 2014: a copy of your cv, transcript and a short statement of purpose, as well as the name and email addresses of 2 references. Ce travail fait partie d’un programme de recherche en cours sur l’écologie de la reproduction chez les rennes. Le candidat utilisera 2 bases de données à long terme dont l’un depuis 1970 et l’autre depuis 1996, en plus des données GPS des années plus récentes. Ce projet nécessite des travaux de terrain au Nord de la Finlande. Le candidat devra donc être prêt à travailler en milieu isolé et en équipe. Le projet implique des collaborateurs de Norvège et de Finlande. Le candidat idéal devra avoir une maitrise ou un baccalauréat en biologie ou tout autre diplôme équivalent, avoir de l’expérience sur le terrain, être motivé et déterminé à parfaire son projet, avoir un bon dossier académique, et un fort intérêt en écologie quantitative. Des connaissances en SIG seraient un atout. Une bourse est disponible pour trois ans, mais la personne recrutée sera encouragée à poser sa candidature pour obtenir des financements complémentaires (FQRNT et NSERC). Les candidats boursiers recevront un bonus. Si vous êtes intéressé, veuillez faire parvenir par courriel idéalement (robert.weladji@concordia.ca) d’ici le 15 Decembre 2014: votre CV, un relevé de notes et une lettre de motivation, ainsi que le nom et l’adresse électronique de 2 personnes pouvant fournir des références. Make sure you are eligible to major scholarships such as NSERC and FQRNT – they are highly competitive, so your GPA should be high! Note that excellent students are eligible for several Concordia Fellowships, including the Faculty and Art and Sciences Fellowships and the Entrance Award. They are competitive but we may always try.